Dr. David Jeck has a medical practice experience of over 20 years, being specialized in Diagnostic Radiology and Neuroradiology. He graduated from the University of Arizona College of Medicine-Tucson and did an internship at the Banner Good Samaritan Medical Center. The completion of his residency at the Washington University followed, as well as a fellowship program at the Mallinckrodt Institute of Radiology. 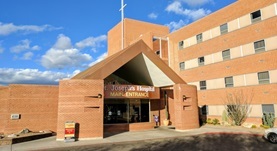 Over the course of his career, Dr. Jeck has contributed to a series of medical publications and has also received a CMS Meaningful Use Stage 1 Certificate in 2013. 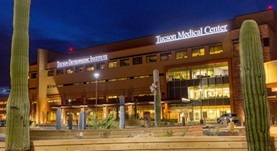 At the time, he is affiliated with Carondelet St. Joseph’s Hospital and TMC Tucson Medical Center in Arizona. Dr. David T. Jeck has contributed to 3 publications. Carotid artery dissection treated with stenting after anticoagulation failure. Korya, D.,Jeck, D.,LaWall, J.; Pract Neurol. 2015 Jan 27. Angioplasty and stenting in carotid dissection with or without associated pseudoaneurysm. Kadkhodayan, Y., Jeck, D.T., Moran, C.J., Derdeyn, C.P., Cross, D.T. ; AJNR Am J Neuroradiol. 2005 Oct.
Clinical outcomes and complications associated with pedicle screw fixation-augmented lumbar interbody fusion. Rivet, D. J., Jeck, D., Brennan, J., Epstein, A., Lauryssen, C.; J Neurosurg Spine. 2004 Oct.